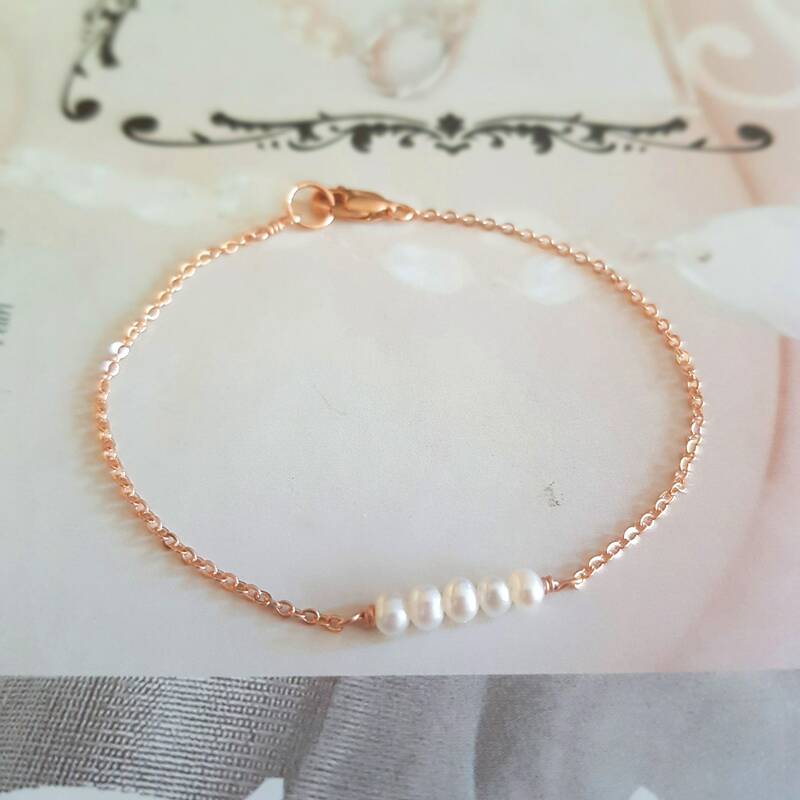 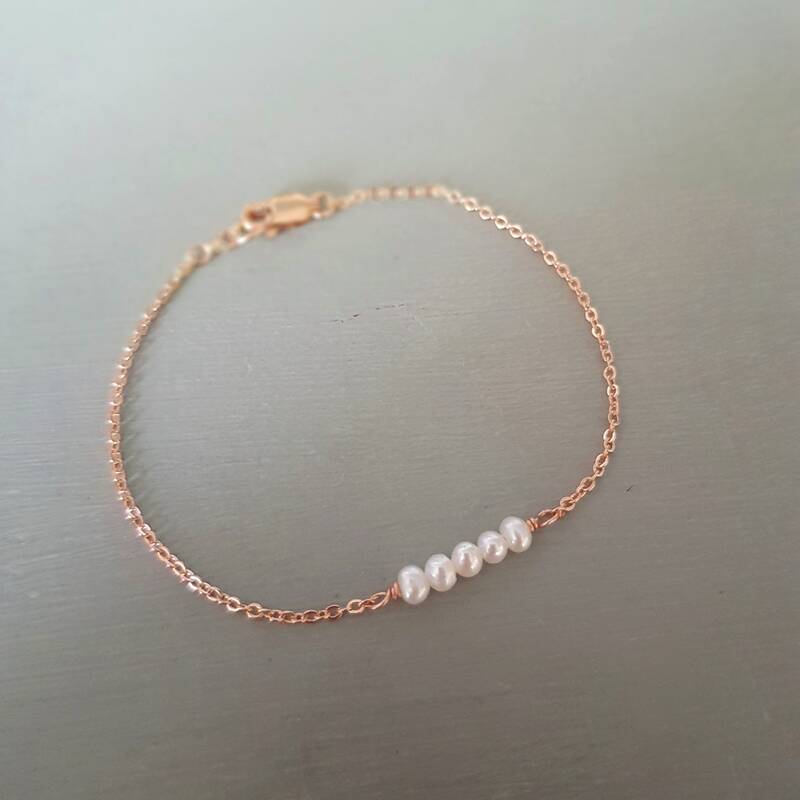 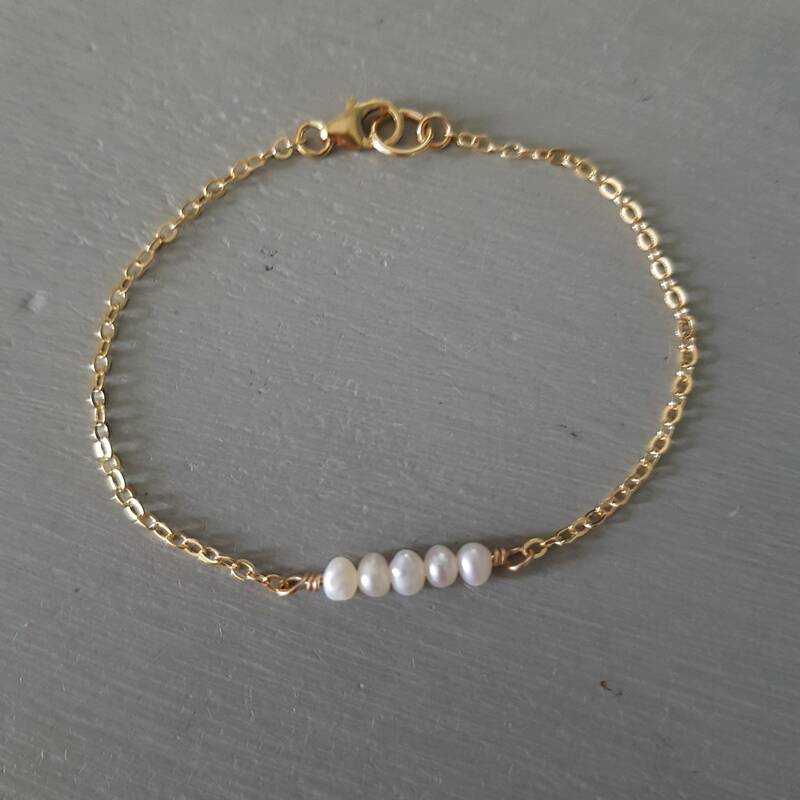 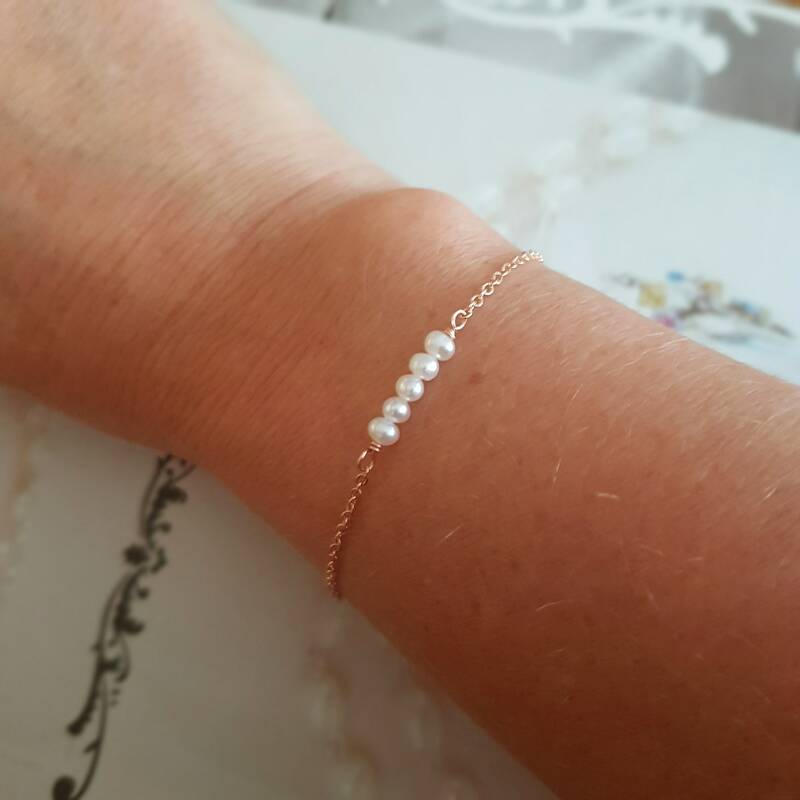 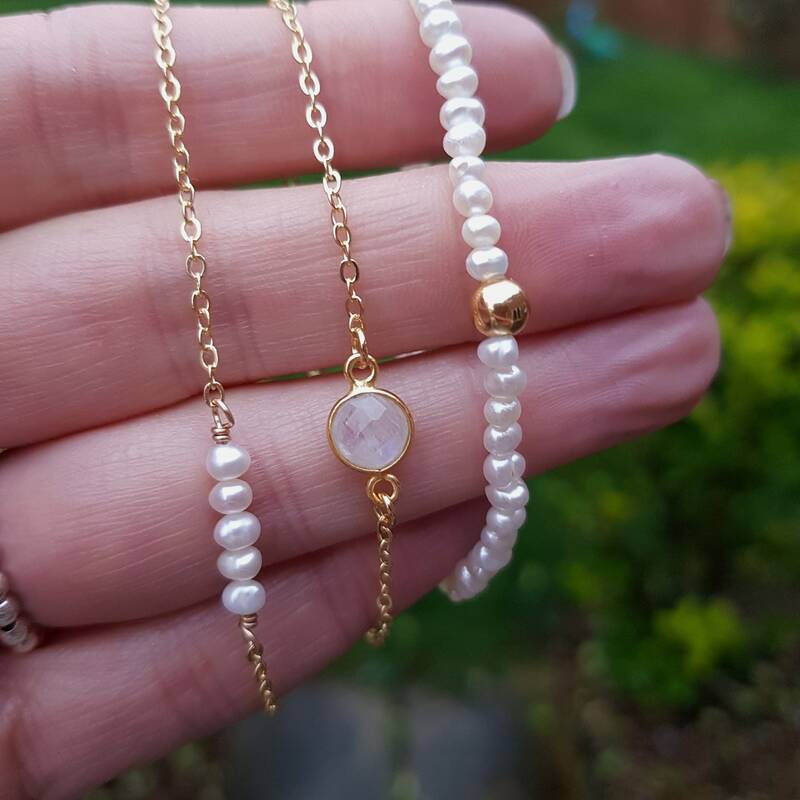 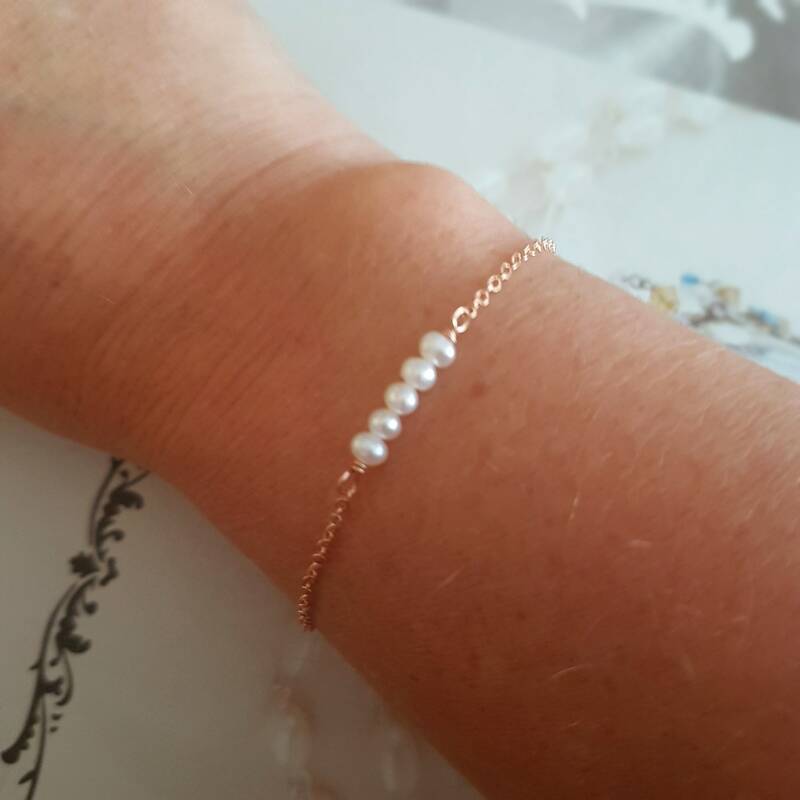 Beautiful handmade white 3-4mm white Freshwater seed pearl bracelet on a fine shimmering 18K Rose Gold link chain. 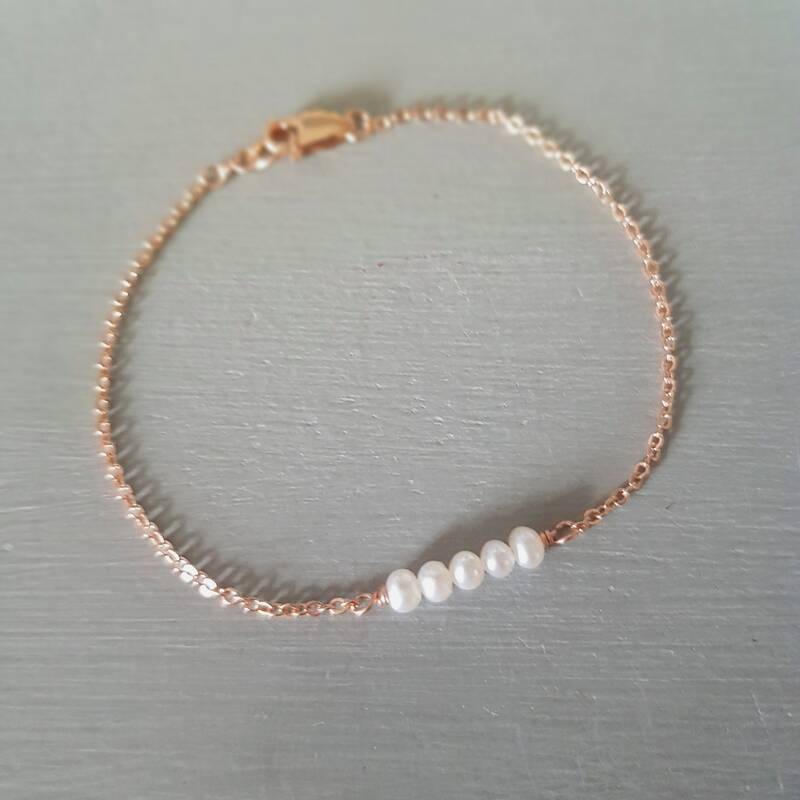 Standard Length: 7.5", but this can be customized for you especially in your desired length above. 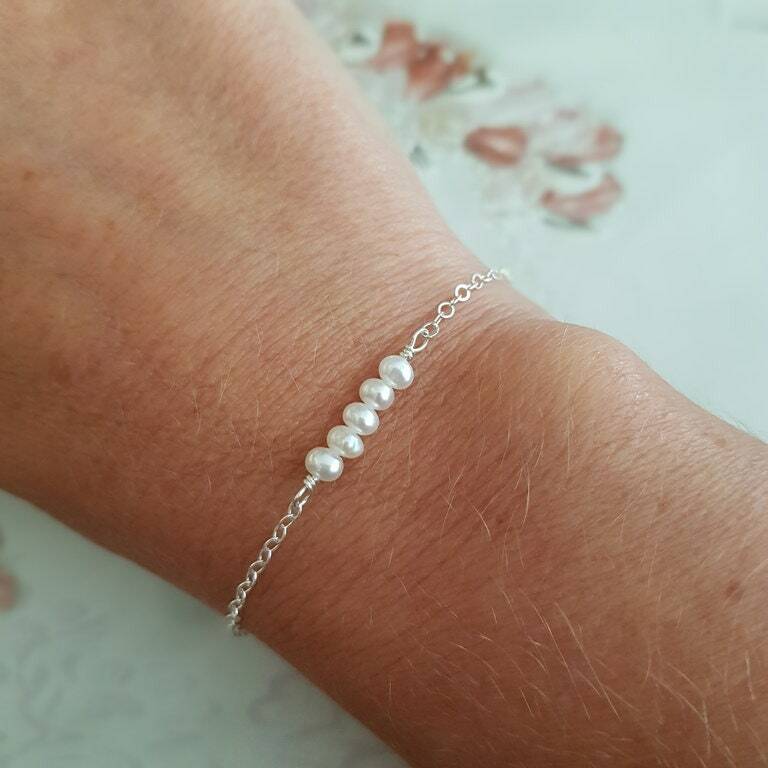 I can also make matching earrings and necklace to go with this bracelet. 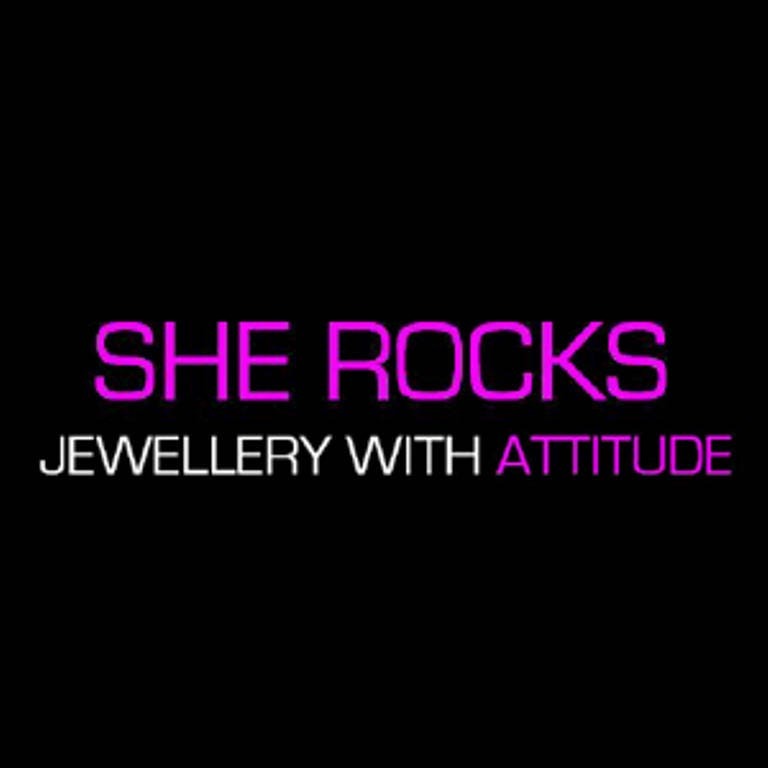 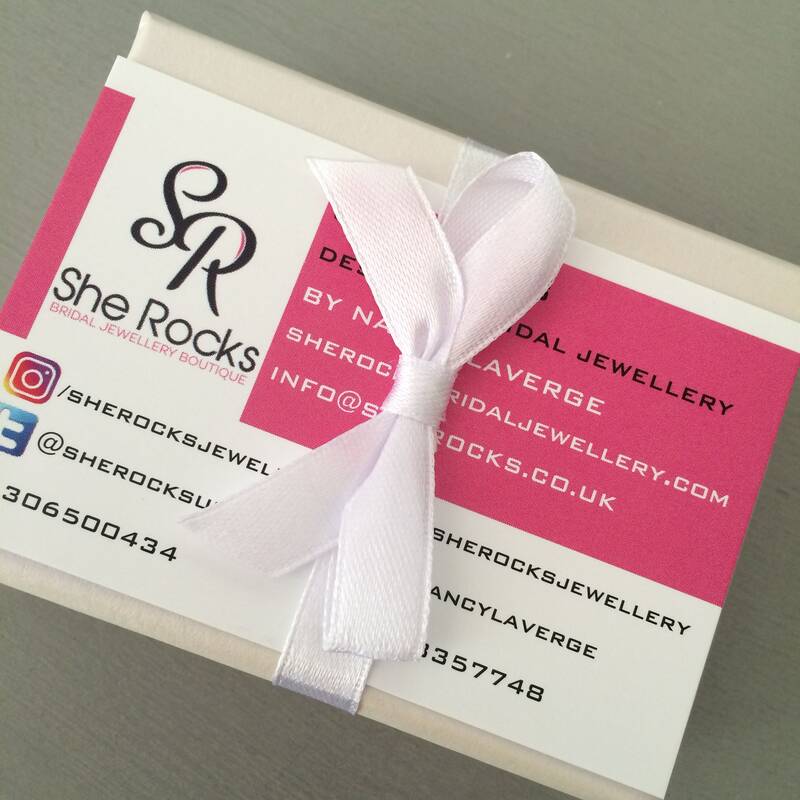 The Bracelet will be presented in a pretty gift box with satin bow.